Through the years working with the children’s ministry, we have come to the realization that some things at home must be changed before any improvement can come to our children. Many of the mothers who send their children to our ministry are unemployed and in need of a job. Others are struggling as single mothers who have no one to help them raise their children. Their hardships, the high rate of unemployment, and many other problems they face bring instability to their homes. It is during moments of desperation that we realize the mothers need someone to listen to them and give them new perspectives. Through our mothers’ program, we hope to reach our children’s mothers and encourage them in their spiritual walks. We provide staff who can advise them and teach them ways to earn income and improve their current situations. Nueva Esperanza invites all of our children’s mothers to a Bible study once a week. During that time, they are taught more about the love of Christ, discipled in the scriptures, and encouraged to share how they are doing personally. The support and compassion offered is, in many cases, the thing many mothers need in order to continue forward. Furthermore, mothers are taught trade skills. They are participants of courses in sewing, knitting, making jewelry, and cooking, and at Nueva Esperanza we have seen many mothers use these classes to provide income for their families. Showing mothers that there are alternate ways to provide for their children often helps them take the initiative to improve their situations. 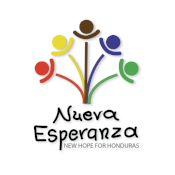 Nueva Esperanza has seen many promising fruits through this program for the children and their mothers.